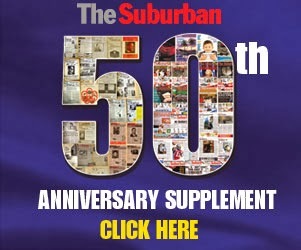 The July 25th edition of The Suburban is all about restaurants. Here are three I focused on. Chalet Bar-B-Q Rôtisserie (www.chaletbbq.com) is one of those restaurants that I can recall my parents taking me to from the time I was very young. There were also the late night snacks with my friends after an evening downtown. At that time there were locations on Decarie (corner of Vezina) and the original on Sherbrooke Street West in NDG. The Decarie locale closed more than a decade ago, but Sherbooke Street West is still going strong. I still go there often for lunch and for takeout orders. Last week I went where very few customers have had the opportunity to experience: deep into the busy kitchen. Since the selection is fairly standard--- chicken, French fries, cole slaw, sauce and a bun – the chefs are in repetitive motions all day long. Service is lightning fast. In two years Chalet will celebrate its 70th anniversary. Marcel Mauron was the original owner and today his daughter Louise McConnell oversees the spacious venue, which opened its doors in August 1944 and continues to serve some of the best charcoal barbequed chicken in the world. When I sat down for my quarter chicken, fries, sauce, coleslaw and a cola with David, waitresses passed by and shares their extraordinary years of service. Lucia recently retired after 56 years on the job. Mariette is still there, with 54 years under her belt. One server told me how she vacated her post 25 years ago, recently returned and found most of the same staff still there. This place is always packed, has an extremely busy takeout counter and as many as eight delivery cars out on the road at a time. “We order close to 3,000 chickens a week,” David said, showing me the vintage custom built brick ovens ovens working full speed ahead while chef Kaji peeled fresh red Manitoba potatoes for the fries. I recently came upon a most original pizza restaurant concept right here in downtown Montreal. Pizza U is located at 2150 Mackay, just below Sherbrooke and a few doors down from Concordia University. Owner Sherif Tadros only opened the spot in May and he is already talking about expanding to other locales in this city and franchising globally. The format is similar to Subways, except with main course and dessert pizzas substituted for sandwiches. Here you choose your dough from among three flavors (Italian, whole wheat or multi-grain), pick one of five sauces and select from a wide array of 40 meat and/or vegetable toppings. Finish things off by looking at the five cheese types and then watch it be prepared in a state of the art machine in a mere two minutes. Each “Imagination” and “Specialty” pizza is only $9, regardless of the number of toppings. The one I tasted was sensational and save room for dessert, made on the same choices of dough and in the oven. Imagine nutella chocolate sauce covered with baked marshmallows and small slices of bananas! This one is called the Camp Fire. Tadros is a former director of operations in Quebec for Pizza Hut, so he knows the business well. He recently returned to Quebec after working overseas for several years. He had seen a similar pizza concept in the United States and upon checking confirmed that nothing remotely close existed in Canada. Several months were devoted to branding and creation. Launching next to a busy university was a strategic choice. The venue itself has about 18 seats, a large flat screen TV and a young hip staff. CEGEP student Riva Bruck was so sold on the concept she gave up another summer job to work here. “I can see already that customers like the option of building their own pizza,” said Tadros, noting that he is currently working on a gluten free crust. I tried the meat market pizza on Italian dough, containing tomato sauce, bacon, ham, Italian sausage and cheddar and mozzarella cheese (I skipped the pepperoni). The server wears plastic gloves, garnishes the dough with sauce, mixes the chosen ingredients in a bowl and then neatly spreads them out. The pizza pie goes into the oven, comes out piping hot, is cut into four pieces and placed in a pizza box whether you eat there or take it home. Tadros says he is using Subways as an example for how far he can grow one day. “We will do it step by step,” he says. A website at www.pizza-u.ca is still in development. They are on Facebook and Twitter. Here is my interview with Sherif Tadros as he demonstrates the preparation of a pizza from start to finish. Following two years of operation on the campus of CEGEP Marie-Victorin, on the border of Montreal North and Rivieres des Prairies (7000 boul. Maurice Duplessis), Resto Capucine (www.restocapucine) is about to move into expansion mode. Chef-owner Mario Di Molfetta, who also has a catering division, says that a late October opening is set for a countertop operation on downtown Bleury Street near de la Gauchetiere. “There will be about 25 tables and chairs, but no servers,” he noted, in contrast to the 85-seat East End locale. Di Molfetta, a resident of Anjou, is a busy man. He also runs his own construction company called Le Groupe Exclusif. Marjorie- R Jodoin runs the restaurant, which is opened seven days a week from 7 a.m. often until past midnight. I met Mario a few months ago at the Montreal launch for Citytv. He was catering the event. It was the very unique lamb kebob skewers which caught my attention.. My friend Nick and I stopped by the CEGEP last week. The restaurant was a beehive of activity, with students, staff, those using the sports facilities and locals, enjoying the fine cuisine. Everything is homemade at Resto Capucine. There are four new special dishes every week – pasta, meat, fish and vegetarian. “We have had over 200 different selections since we opened,” explained Jodoin. The regular menu contains other items of these kinds, as well as sandwiches, salads, juices and extraordinary cakes, danish and breads. Jodoin laments that the student strike hit business hard last spring. “We are looking forward to having them back,” she said. I had the zucchini flower appetizer, crunchy on the outside with melted cheese inside. Nick started with a salad. For my main course, the fettucini was superb while Nick gave a thumbs up to his chicken sandwich. We both dove into the chocolate mousse cake for dessert. Here Di Molfetta, a 1986 graduate of Laurier Macdonald High School in St. Leonard, tells me how it all began.